Cemeteries, no. 20: Saint Delight church. There is Saint Delight Missionary Baptist Church in Walstonburg, just beyond Saratoga in Greene County. This is not it. This is Saint Delight Original Freewill Baptist Church, and it is just northeast of Kenly, about a mile inside the Wilson County line, at the end of a dirt spur hard by the CSX railroad. Per its cornerstone, the church was dedicated in 1915 by Rev. G.W. Edwards. 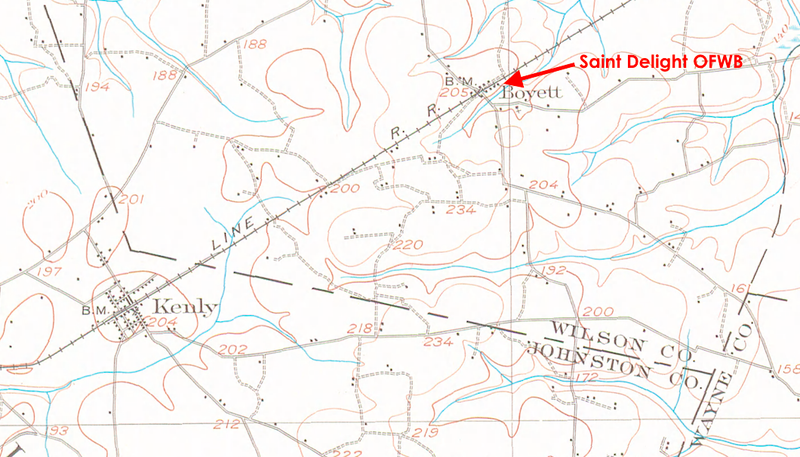 If its large cemetery is a measure, Saint Delight was an important center of worship in the area, which has been known as Boyette and Kirby’s Crossing. 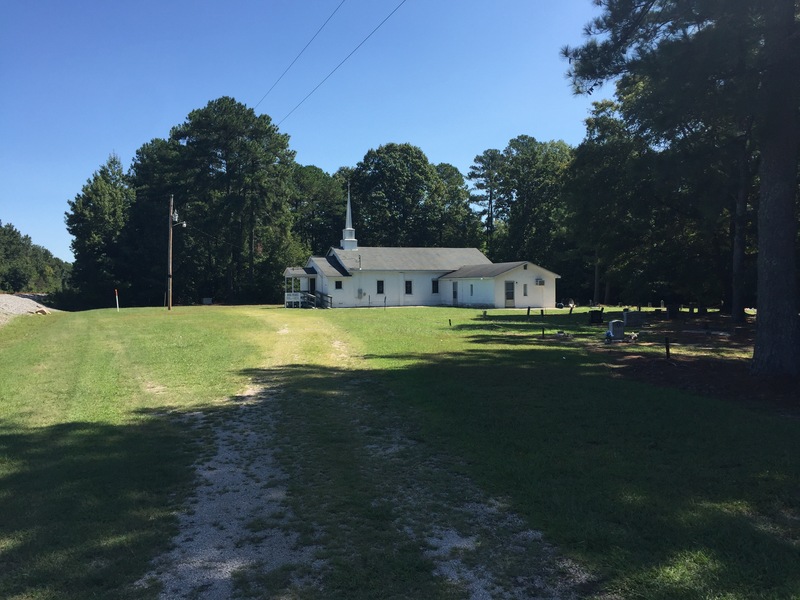 Given its proximity to the county line, church membership also drew from Johnston County. 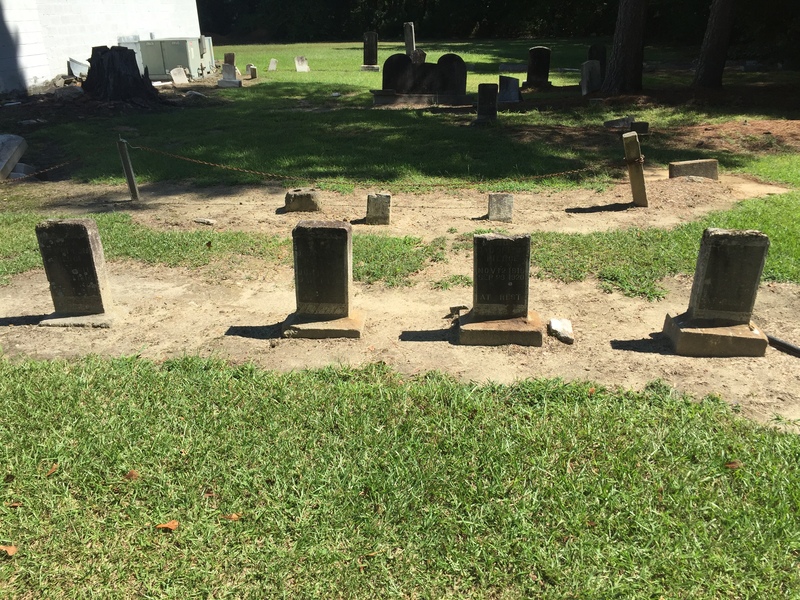 The Horton family — transplants from Wake County — were important in the church’s early decades, and the numerous graves of that extended family lie closest to the sanctuary. The four headstones read: (1) Roscoe son of E & M Pierce May 14 1921 Oct 29 1921 At rest; (2) Maggie dau of E & M Pierce Nov 12 1919 Sep 26 1920 At rest; (3) Sara dau of E & M Pierce Jun 14 1914 Jan 1 1915 At rest; and (4) Toma dau of E & M Pierce Aug 7 1911 Dec 31 1914 At rest. Sara and Toma died too early for certificates to have been issued to record their deaths. However, per his death certificate, Roscoe Pierce died of acute ileocolitis on 26 October 1921 in Springhill township. He was born 14 May 1921 in Wilson County to Ernest Pierce and Maggie Atkinson and was buried at Kirby’s Crossing. Maggie Pierce died of acute ileocolitis 19 September 1920 in Springhill township. 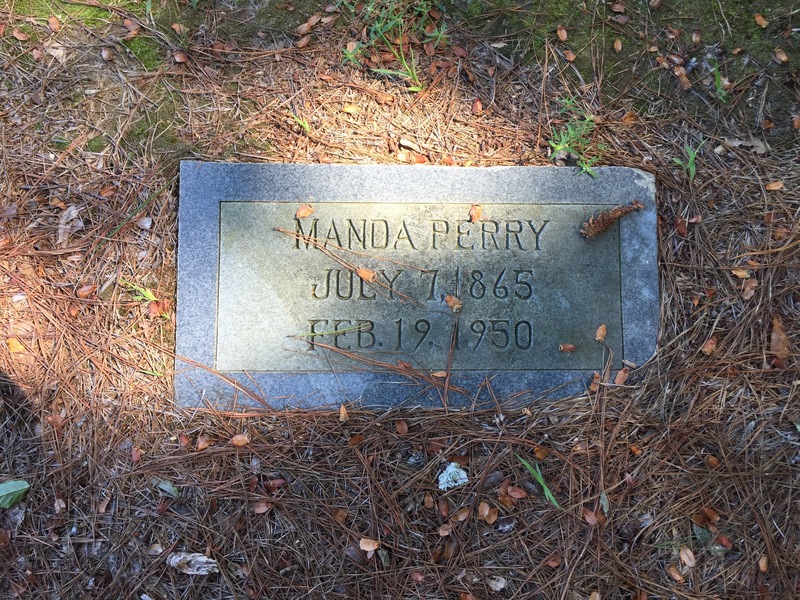 She was born 12 December 1919 to Ernest Pierce and Maggie Atkinson and was buried in Boyetts cemetery. Nathan Atkinson Sept. 1 1847 Nov. 2 1925 Death is eternal life why should we weep. In the 1870 census of Bentonsville township, Johnston County: Nathan Atkinson, 18, is listed as a farmhand in the household of 47 year-old white farmer Bryant Williams. 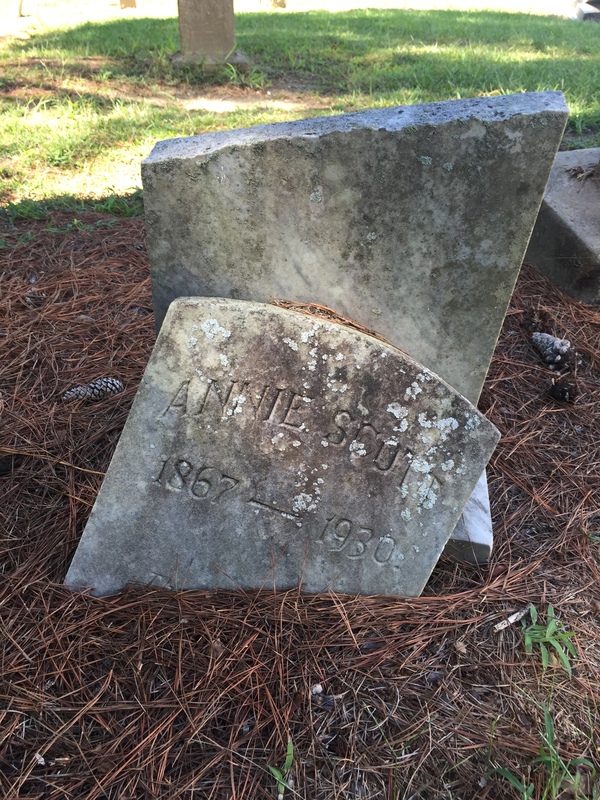 On 8 August 1872, Nathan Atkinson, 23, married Frances Shaw, 18, in Wilson County. In the 1880 census of Springhill township, Wilson County: farmer Nathan Atkinson, 28; wife Frances, 25; and children William, 7, Albert, 5, Coraan, 3; and Joseph, 10 months. In the 1910 census of Springhill township, Wilson County: farmer Nathan Atkinson, 63; wife Fannie M., 58; and children Spencer R., 18, Fannie F., 16, and Henrietta, 13; and grandson Joseph S. Atkinson, 13. 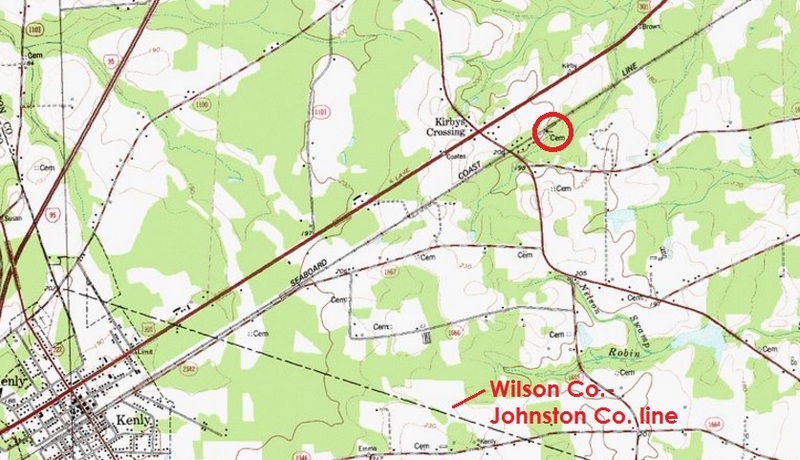 In the 1920 census of Springhill township, Wilson County: on avenue off the new section of the Wilson & Kenly Road, widower farmer Nathan Atkinson, 72, son Joe, 25, and daughter Henrietta, 22. 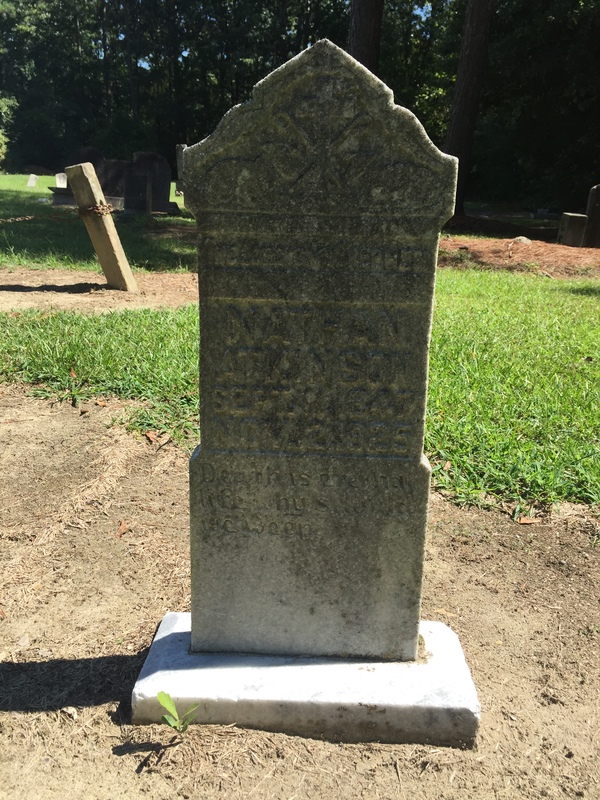 Nathon Atkinson died 2 November 1925 in Springhill township, Wilson County. 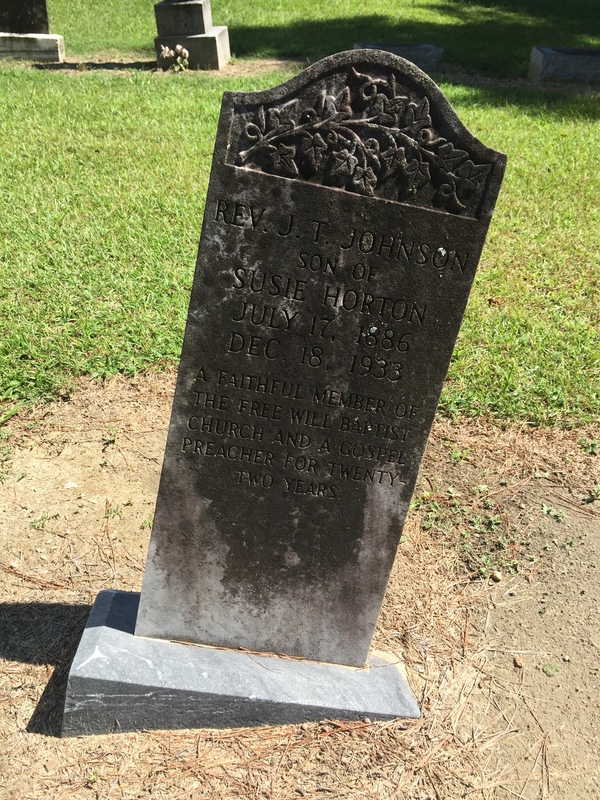 Per his death certificate, he was 77 years old; born in Wilson County to unknown parents; worked as a farmer; and was buried in Boyette cemetery. Tink Pierce was informant. 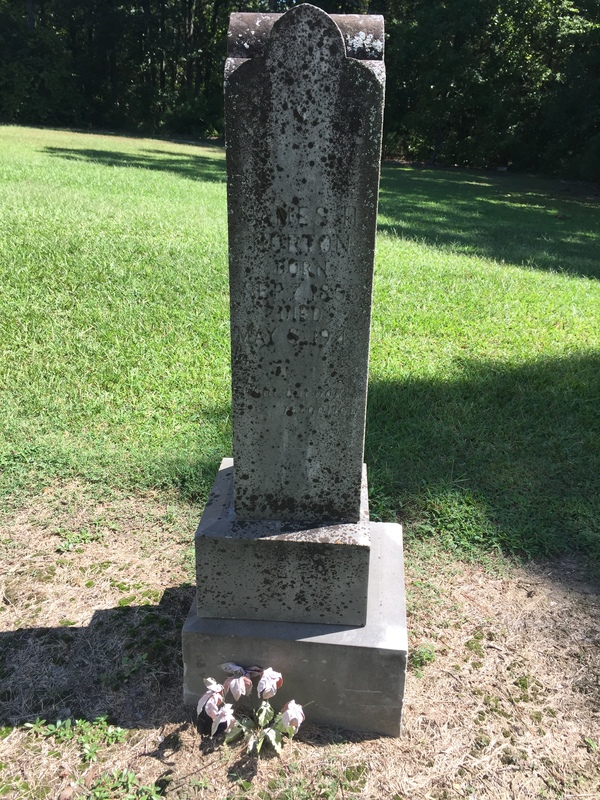 This concrete headstone is enormous, easily three feet high and four feet across. In the 1870 census of Buckhorn township, Wake County, North Carolina: Nash Horton, 35; wife Elizabeth, 25; and children James, 14, Allis, 9, Jane, 6, Susan, 4, George, 2, and Matthew, 2 months. On 28 September 1890, Savanah Scott, 20, daughter of John and Nannie Scott, married Mathew Horton, 21, son of Nash and Betsey Horton, all of Springhill. Rufus Horton applied for the license, and he, Samuel Taylor and Anderson Horton witnessed. In the 1900 census of Springhill township, Wilson County: Mathew Horton, 32; wife Savannah, 31; and children Roscoe, 7, Sidney D., 4, and James F., 1. In the 1910 census of Springhill township, Wilson County: Mathew Horton, 42; wife Savannah, 41; and children Roscoe, 16, Sidney, 13, Freddy, 11, Alice, 9, Allie, 7, and Rhommie, 4. In the 1920 census of Springhill township, Wilson County: M.H. Horton, 51; wife Savannah, 50; and children Alice, 18, Allie, 16, and Romey, 14; plus David Scott, 75, boarder. In the 1930 census of Springhill township, Wilson County: Mathew Horton, 60, and wife Savanah, 59. Mathew Horton died 25 July 1953, age 81. Perhaps this is the same Annie E.B. Scott, 20, daughter of John Scott, who married Haywood Horton, 22, son of John and Esser Horton, on 13 February 1887 in Springhill township in the presence of Samuel Taylor, Anderson Horton and Tony Mercer. Annie Scott died 5 September 1930 in Wilson. Per her death certificate, she was born about 1883 [sic] in Wake County to John and Annie Scott; worked as a laundress; resided at 618 Vance Street, Wilson. Informant was Savannah Horton, Wilson. On 21 May 1882, Joshua Beckwith, 28, of Chatham County, son of Wiley and Lucy Costin, married Susan Horton, 17, of Wilson, daughter of Nash and Elizabeth Horton, at Nash Horton‘s in Springhill township. Witnesses were John T. Hinnant, Nash Horton and Isaac Kirby. On 2 October 1887, Richard Johnson, 22, of Wilson County, married Susan Beckford, 24, of Wilson County, in Springhill township. Witnesses were Anderson Horton, Samuel Taylor and Joel Oneil. In the 1900 census of Springhill township, Wilson County: Susan Johnson, 34, widowed washerwoman; and children Ayren, 17, Cary, 12, Curtis, 10, and Garland, 4. In the 1910 census of Springhill township, Wilson County: Robert Boykin, 28; wife Carrie, 23; daughters Vernell, 4, Lizzie D., 2, and Queen E., 2 months; and mother-in-law Susan Horton, 44, cook. Susan Horton died 18 January 1945 at Mercy Hospital, Wilson. 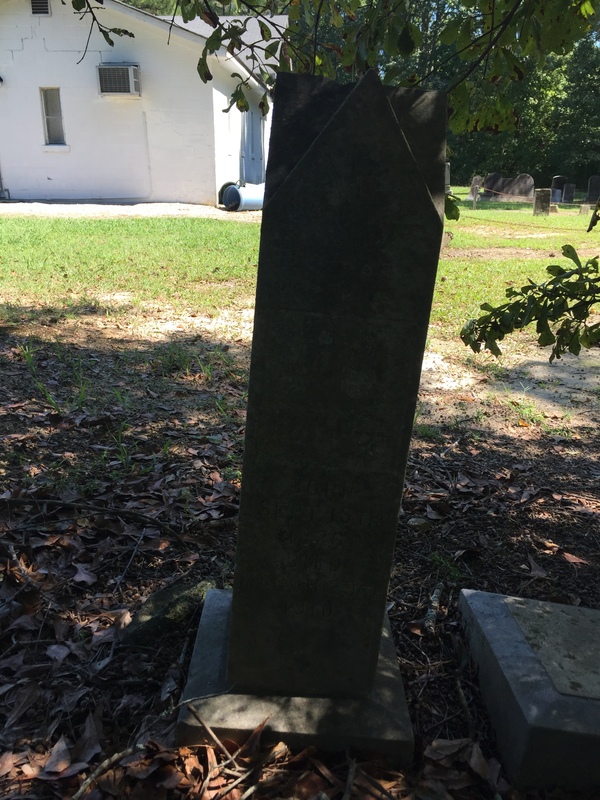 Per her death certificate, she was born 14 July 1866 in Wake County to Nash Horton and an unnamed mother; resided at 417 South Goldsboro Street, Wilson; was the widow of Dock Farmer; and was buried in Boyett cemetery. Informant was Carrie Boykin, 417 South Goldsboro. James Thomas Johnson died 18 December 1933 in Pine Level, Johnston County, North Carolina. 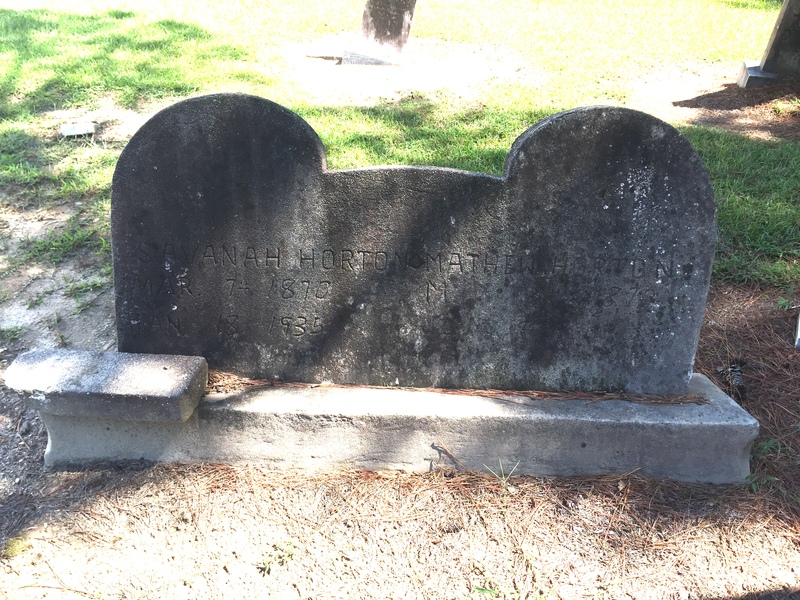 Per his death certificate, he was born 17 July 1884 in Chatham County to Josh Beckwith and Susie Horton; was married to Martha Durham Johnson; and worked as a preacher. His wife was informant, and he was buried at Boyettes cemetery. In the 1900 census of Springhill township, Wilson County: farmer James Horton, 45; wife Lona, 29; and children Louisa M., 7, James L., 6, Henry A., 2, and Roberta, 2 months. In the 1910 census of Springhill township, Wilson County: farmer James H. Horton, 55; wife Lunar, 38; and children James T., 16, Henry A., 12, Roberta, 9, Lizzie, 6, Cora, 4, and John, 1. In the 1920 census of Springhill township, Wilson County: on Fremont & Kirby’s Crossing branch or avenue, widowed farmer James H. Horton, 64, and children Henry A., 21, Lizzie, 14, Cora, 12, and Johnnie, 10. In the 1930 census of Springhill township, Wilson County: widowed farmer James H. Horton, 73; son-in-law James L. Lewis, 25; and daughter Cora, 23. In the 1940 census of Springhill township, Wilson County: Black Creek Church to Kenly Fremount Road, farmer James Lewis, 35; wife Cora, 34; and children Lillie Mae, 11, and Saulie Mae, 6; and father-in-law James Horton, 85. James H. Horton died 8 May 1943 in Springhill township. 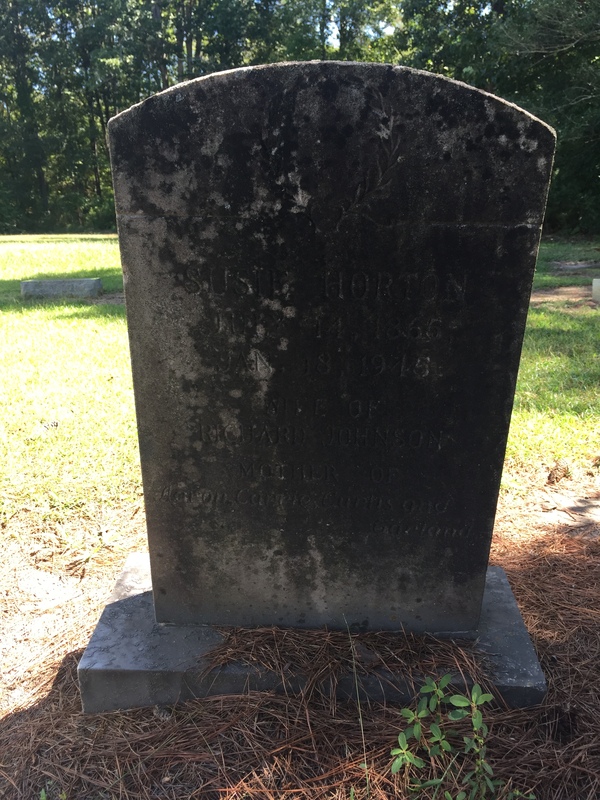 Per his death certificate, he was born 7 June 1860 in Wake County to Nash Horton and an unknown mother; was the widower of Lunar Taylor; and was buried in the Free Will Baptist cemetery. Henry Horton was informant. In the 1870 census of Buckhorn township, Wake County, North Carolina: farm laborer John Horton, 47; wife Espram, 35; and children Milly, 13, Nancy, 11, Anderson, 7, Haywood, 6, Rufus, 3, Mitty, 1, Doctor F., 39, and John W., 7. In the 1880 census of Buckhorn township, Wake County, North Carolina: John Horton, 53; wife Hesper, 45; and children Anderson, 17, Haywood, 15, Rufus, 12, Annie, 9, Spencer, 7, Louis, 3, and Minnie, 1. In the 1900 census of Springhill township, Wilson County: John Horton, 73; wife Esther, 65; and son Louis, 23; hired girl Roselle Peacock, 19; nephews Nathaniel Hopson, 16, and John W. Richardson, 17; and servant George Davis, 18. 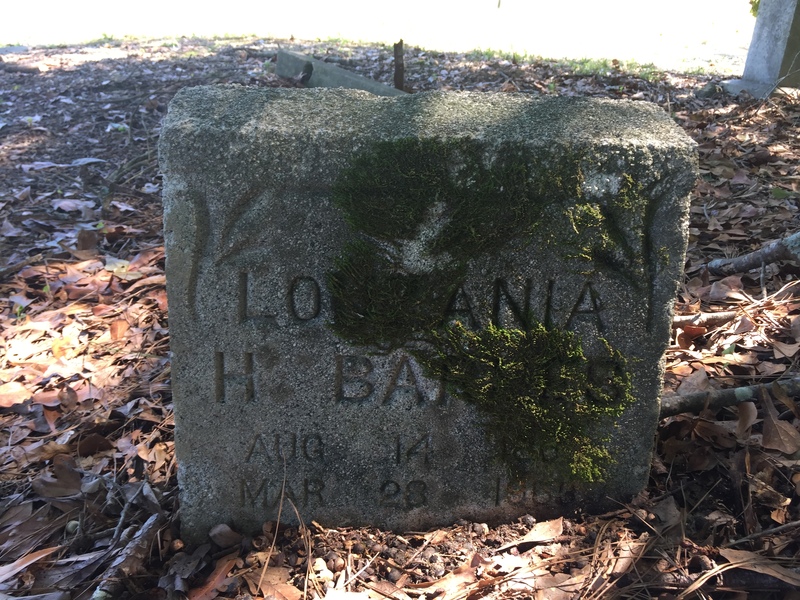 On 14 March 1893, Dred Barnes, 33, of Black Creek, son of Nelson Barnes, married Luzana Hinnant, 30, of Black Creek, daughter of Hardy Hinnant, in Black Creek. Witnesses were J.B. Bardin, J.H. Mosley, and Ben Simms. In the 1900 census of Black Creek township, Wilson County: farmer Dred Barnes, 42; wife Lou Z., 37; son Johnnie, 14; and boarder Alex Johnson, 29. In the 1910 census of Black Creek township, Wilson County: Dred Barnes, 54, and wife Louzanne, 48. In the 1930 census of Black Creek township, Wilson County: Dread Barnes, 69, and wife Louisa, 47. In the 1900 census of Beulah township, Johnston County: William O. Barnes, 61; wife Maggie B., 58; children Ruth, 17, and Mildred, 16; lodger Bennie Sheard, 17; and Louzannie Barnes, 77. 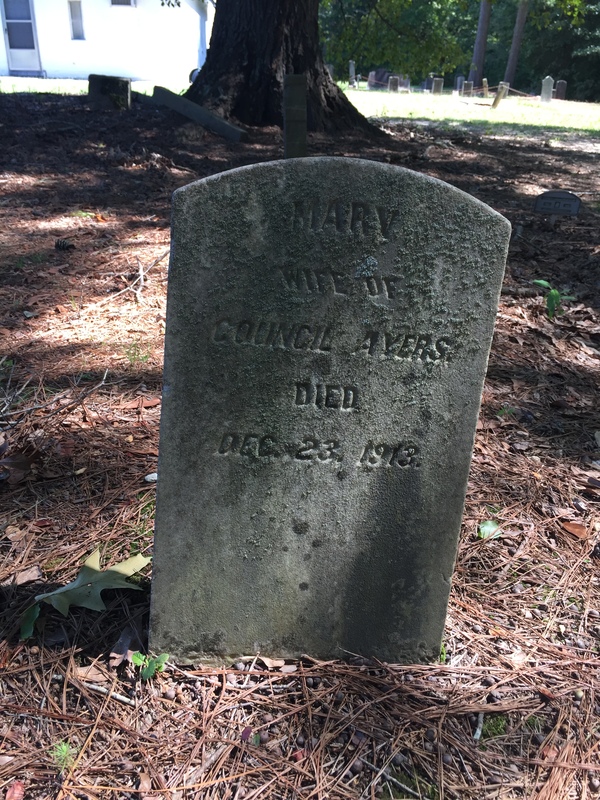 Mary Ayers wife of Council Ayers. Died Dec. 23, 1913. On 30 April 1866, Council Ayers married Mary Carroll in Johnston County. In the 1870 census of Beulah township, Johnston County: Council Ares, 52, wife Mary, 33, and William Smith, 3. 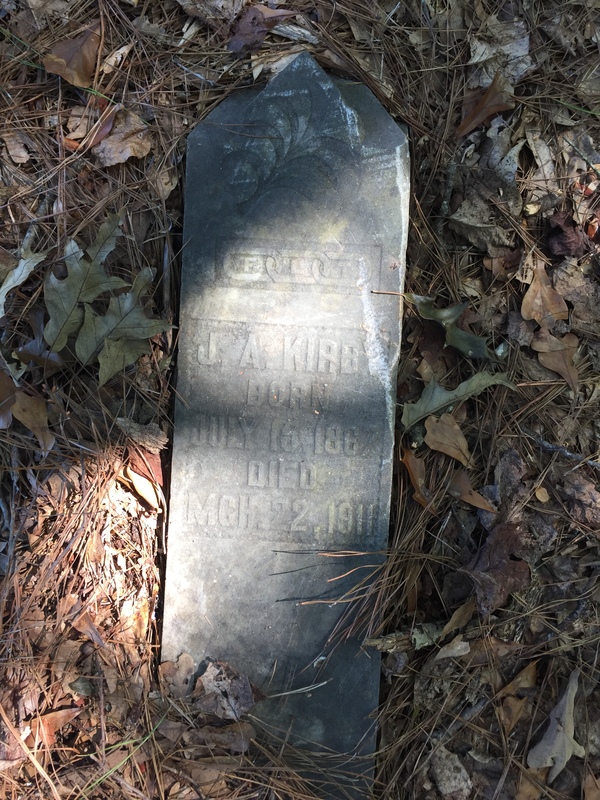 On 11 February 1900, James Kirby, 31, married Kizzy Bagley, 26, in Fork township, Wayne County. In the 1910 census of Springhill township, Wilson County: farmer James A. Kirby, 40; wife Kizzie E., 37; and son Rodgers Kirby, 22. Lucy Cofield, wife of Offin Cofield. Died Oct. 15. 1914, age 98 yrs. Honored beloved and wept, here mother lies. Lucy Coffield died 13 September 1914 in Kenly, Johnston County. 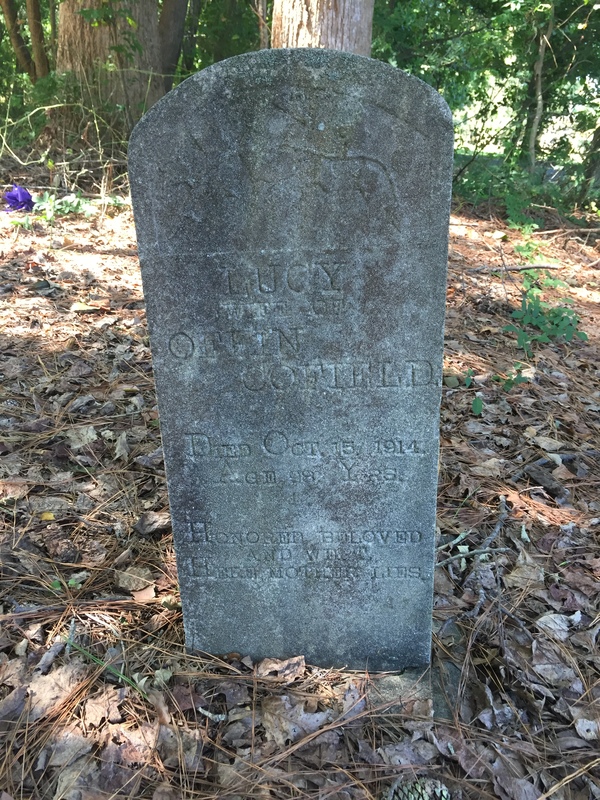 Per her death certificate, she was 90 years old, was born in Bertie County to unknown parents and was buried at Boyett’s Crossing. Simon Coffield was informant. In the 1930 census of Wilson, Wilson County: at 107 North East Street, laundresses Halla Harris, 74, and Mandy Perry, 62, both widowed; and roomer Westley Hines, 25, a body plant laborer. In the 1940 census of Wilson township, Wilson County: widow Mahaily Harris, 75; her widowed sister Manda Perry, 73; and Manda’s grandson Fred Perry, 22, a tobacco factory laborer. 1902 topographical map of Kenly quadrant. circa 1975 topographical map of Kenly East quadrant. ← 122 North Pender Street.